1. Inside the Studio, right click on localhost (Connected) in the Explorer, click on Sources and select a New Database source from the list. 2. Add the Server details you would like to connect to. 3. Select User or Windows Authentication Type depending where your database is linked. 5. Select the database you want to use from the drop down list. If you’re working with a database over a network there is an option for Authentication Type which allows for you to provide the relevant user login details. Once entered, the connection is established and the user has access to all stored procedures. At this point you can now create a new re-usable Data Service Connection. 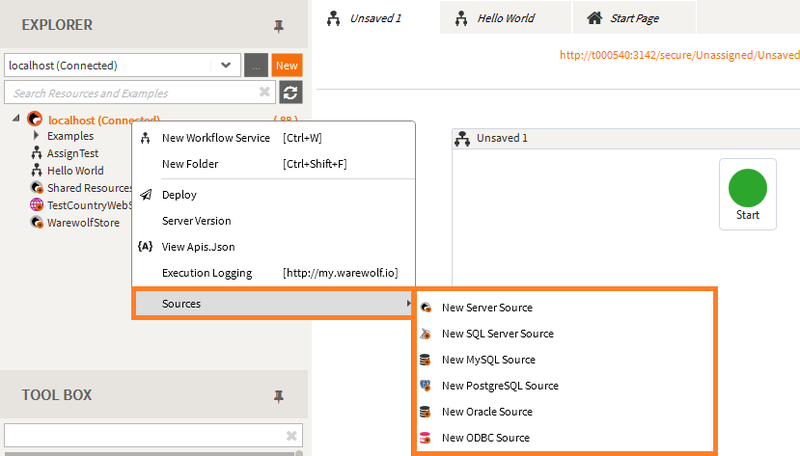 Read more about testing stored procedures using Warewolf .